This weekend I was in Austin for a few reasons, one being a “Cousin’s Christmas” gathering we have every year with our extended family! I decided to try out a new recipe I found via Pinterest and it got nothing but rave reviews. Since I’m on a diet I only got to eat a couple which proved extremely difficult. Thanks to Sally’s Baking Addition for this amazing recipe – check out the site for more awesome baking recipes and tips! Line an ungreased cookie sheet with parchment paper or silpat. Set aside. In a large bowl using a hand-held mixer or stand mixer with paddle attachment, cream the butter and sugars together on medium speed until fluffy and light in color. Mix in egg and vanilla. Scrape down the sides as needed. On low speed, mix in flour, cornstarch, baking soda and salt. 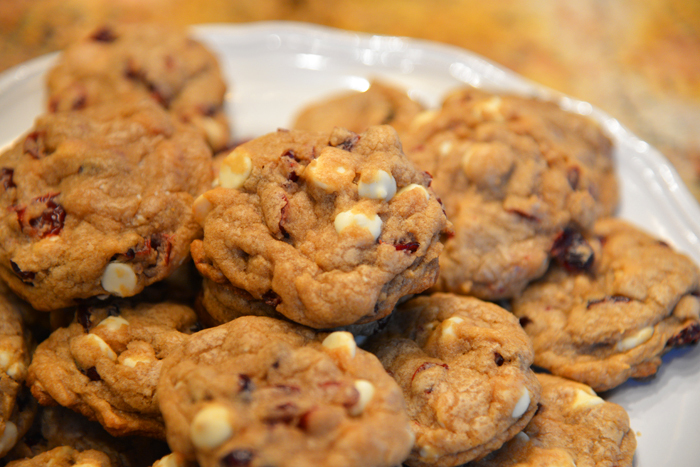 Stir in white chocolate chips & dried cranberries. Chill dough (covered) for 30 minutes or up to 3 days. Preheat oven to 350F. 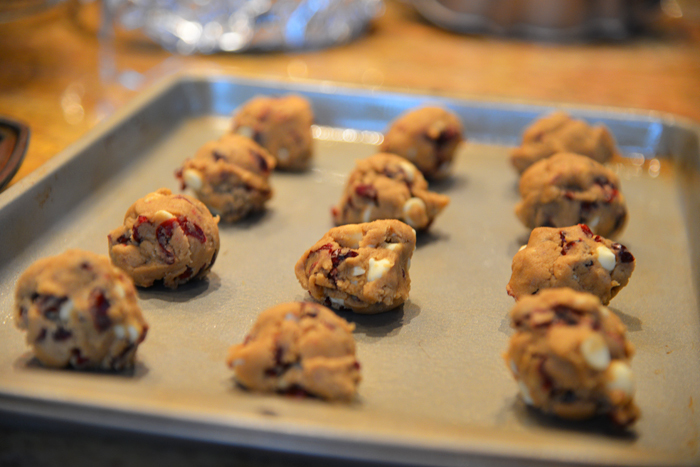 Drop balls of dough (1.5 tablespoons each) onto cookie sheet OR used a standard-sized cookie scoop. Bake for 8-9 minutes, until barely golden brown around the edges. Do NOT cook them longer than 9 minutes. Remove and let cool for 5-10 minutes on the cookie sheet. Transfer to cooling rack. *Do not drop dough onto warm cookie sheets. Allow cookie sheets to cool completely between batches. I baked the cookies the morning of and then left them for others to keep once the party was over (only allowed myself two of them) – so hard to do, but worth it! 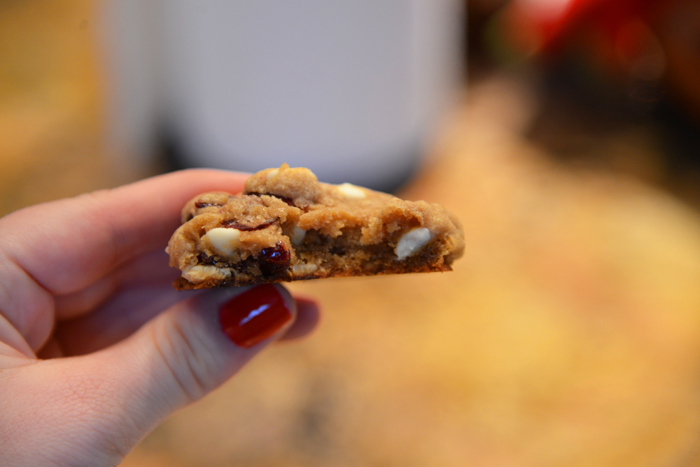 So glad you found my recipe and made my cookies! They look amazing and now Ithink I’m going to have to make them again. 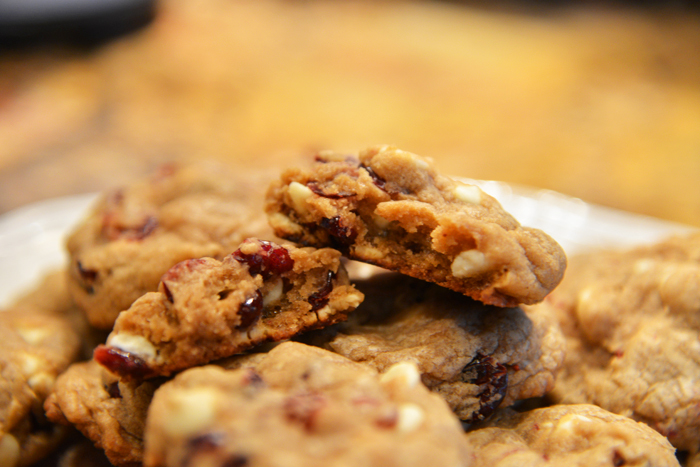 I love these cookies – one of my very favorite recipes! they are SO good! I’m going to make them again this weekend for a friend’s dinner party. Everyone loved them – thanks for all the great recipes!